Joementum?, originally uploaded by Lindsay Beyerstein. 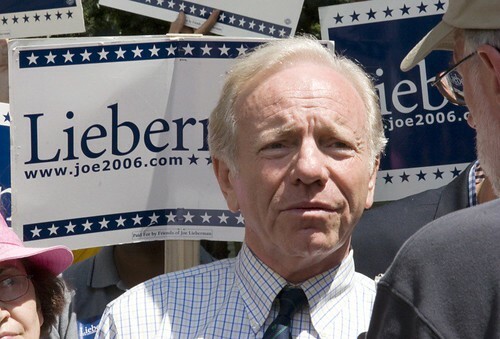 Had the New York Times taken an honest measure of the two U.S. Senate candidates in Connecticut, there is no question it would have followed the lead of the Hartford Courant and the New Haven Register in endorsing Joe Lieberman over Ned Lamont. Lieberman’s record of accomplishment, his unfailing leadership on many of the very issues the Times promotes, his personal integrity and even the way he has conducted himself since the August primary – which the Times purportedly weighed in making its endorsement – should have made him the hands-down choice. Instead, the Times’ ill-informed and tendentious endorsement of Ned Lamont reads as if the editors had outsourced the editorial writing to the same crew of blindingly angry bloggers who have teamed with the Lamont Campaign to twist Joe Lieberman’s record beyond all recognition. What resulted -– a cant recitation of discredited arguments, along with a willful ignorance of Senator Lieberman’s many accomplishments for the state and the country –- reveals far more about the Times’ knee-jerk biases and lack of rigor than either of the candidates. The Times most obviously shows its narrow-mindedness by reducing the entire campaign to the war in Iraq, despite the fact that two-thirds of voters in Connecticut consistently say it is not their top concern. Even worse, the Times shows its disinterest in the truth by regurgitating several of the bloggers’ biggest falsehoods and grossly mischaracterizing Senator Lieberman’s position on Iraq. Somebody's internal polls must be disappointing. Lieberman's campaign accuses the NY Times of having a "clear partisan agenda." In other words, they're admitting it's best for the Democratic Party if Lieberman is defeated. Holy God! Eric, thanks for pointing that out. That would have sailed right past me. "These partisan Democrats! ", complains Joe. Though it would have been much more delicious if he were still running as one. Loveman really, REALLY hates the bloggers, doesn't he? If he doesn't win this election Holy Joe may go on a blogger killing spree. You better change your endorsement, Lindsay. I fear for your personal safety. And don't think he can't find you. The Messiah-In-Chief will show him how to use the Google to find your address. At first, I thought the troll that was here earlier might have been a Lieberman supporter. Am I the only one who finds the letter's comparison of an op-ed piece to the contents of a blog highly amusing? Dangerstein using the word 'angry' is like Cheney using 'evil'. That screed is just about the angriest thing I've read all election season. And it's the ugliest kind of anger--anger born of entitlement. Or, maybe, like Bill Clinton, he attacks and attacks and responds to everything until he wins the election. Joe absolutely should not take anything for granted...the entire Dem-Lib power structure is out for him. C'mon Joe, don't you dare get tired! Keep swingin'! And here I thought there were THREE candidates for that seat. If you come across like Lyndon LaRouche, it defeats the purpose of responding to everything. >Am I the only one who finds the letter's comparison of an op-ed piece to the contents of a blog highly amusing? >If you come across like Lyndon LaRouche, it defeats the purpose of responding to everything. I love it how the only thing this guy does is to write projects to get other nations bombed and destroyed, not even remembering a word called "dialogue" exists, and people still vote for him. Simply hilarious.